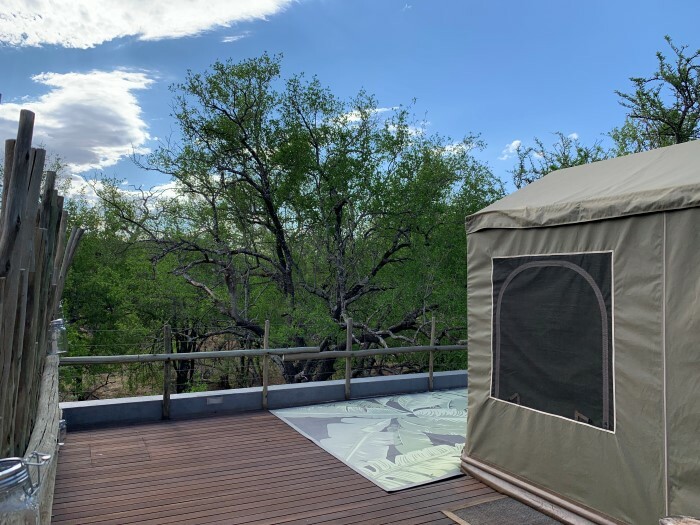 In the middle of Madikwe Private reserve in South Africa you’ll find Jaci’s Lodges, a five star Safari lodge fit for royalty. If you’re looking for a honeymoon destination, this is it. Romantic couples break, here. 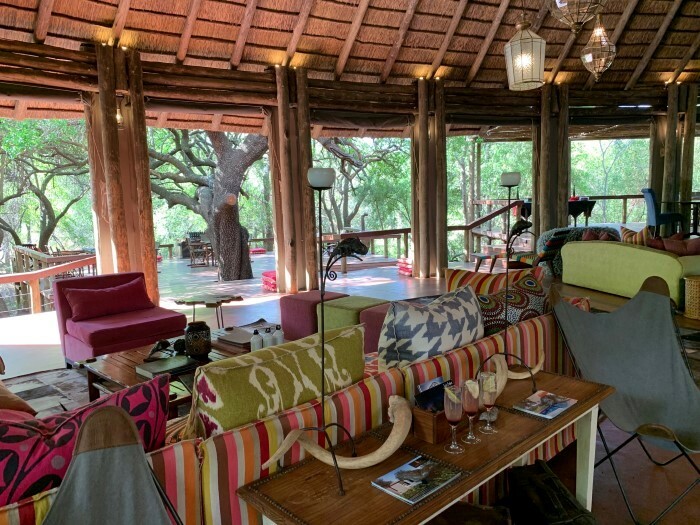 Luxurious family safari stay, this is the one. It’s got everything and it’s absolutely stunning to boot. I flew to South Africa direct from Heathrow to Johannesburg with South African Airways. They have daily overnight flights from London to Johannesburg on board the new A330-300, with easy onward connections to over 30 destinations across Southern Africa. Business Class offers travellers their own ‘living space’ with improved privacy whilst Economy Class boasts newly designed seats with high-resolution screens and individual USB charging ports making that 11 hours quite literally fly by – and the food was yummy too! 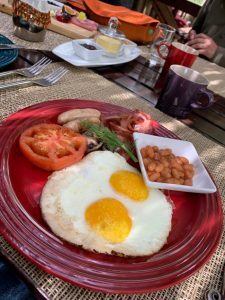 My travel buddy Brent Lindeque from The Good Things Guy got us rooms at Jacis for three nights at the start of my South African adventure and I was so blown away by the resort I knew I’d have to tell you all about it. 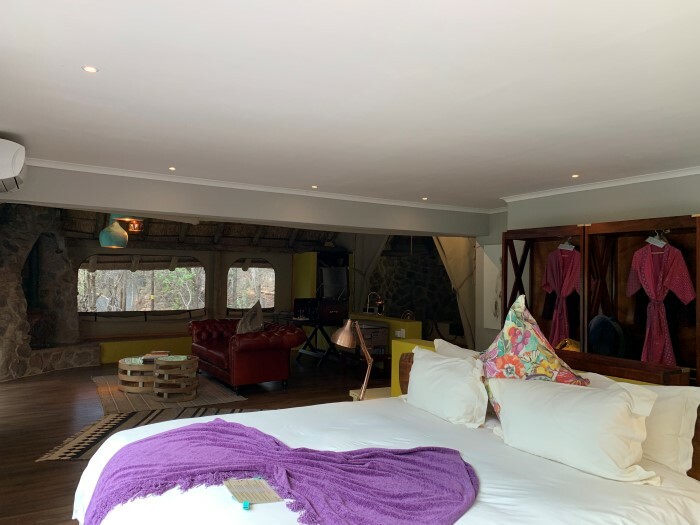 We stayed in a Starbed Suite in the safari Lodge section of the resort and my goodness, I was blown away. I’ve stayed in some stunning rooms in my time travelling but this one is by far the most luxurious and exciting of them all. 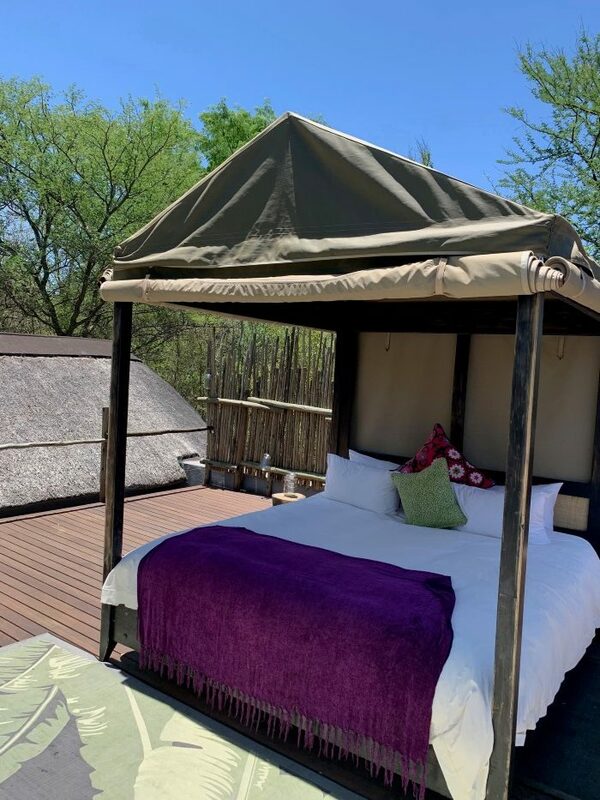 Our suite had not one, but two king sized beds with impeccably comfy mattresses and pillows and fresh crisp soft linen. 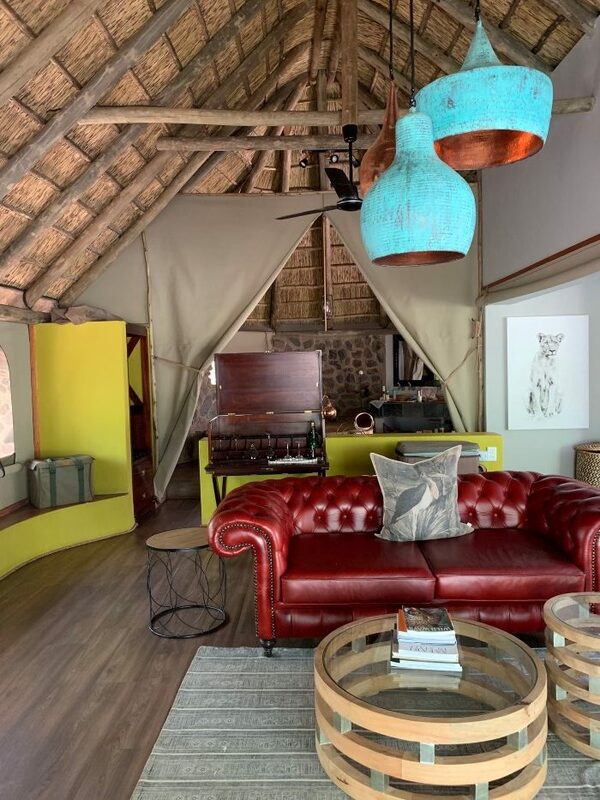 The first was inside the lodge, surrounded by floor to ceiling glass panes all around and by a much needed air con unit forthe SA Summer heat! The second was on the ROOF! 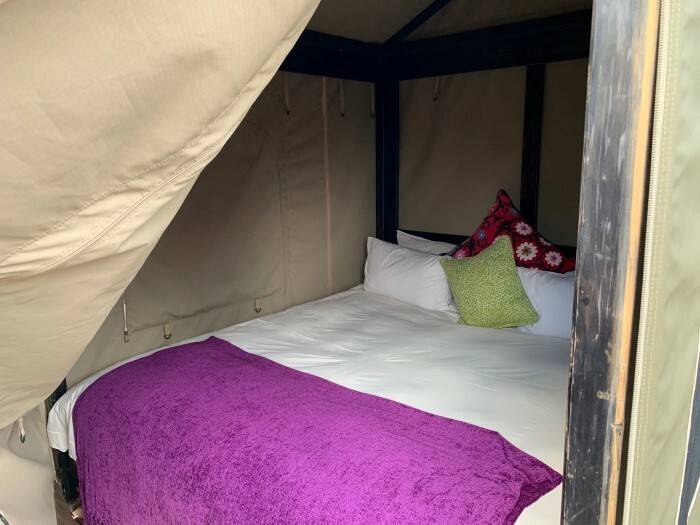 Under the stars, a four poster bed looking out over the bush in the light of the moon and such an amazing experience. I tried it one night and I have to say, after having slept open topped in the Borneo jungle back in 2016, this experience was a lot more pleasurable! 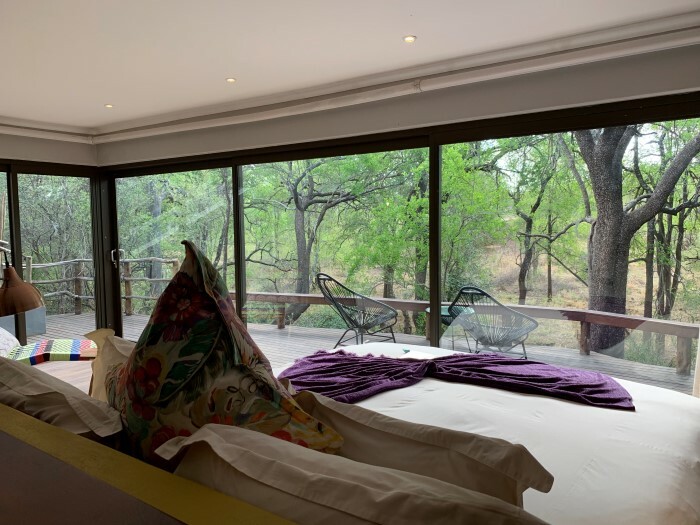 With cosy warm sheets, fresh air, thousands of twinkling stars and the sounds of the crickets and animals to send you to sleep, I felt like I was in a movie. It was an incredible experience and one I implore you to try for at least one night of your stay! Three of them! 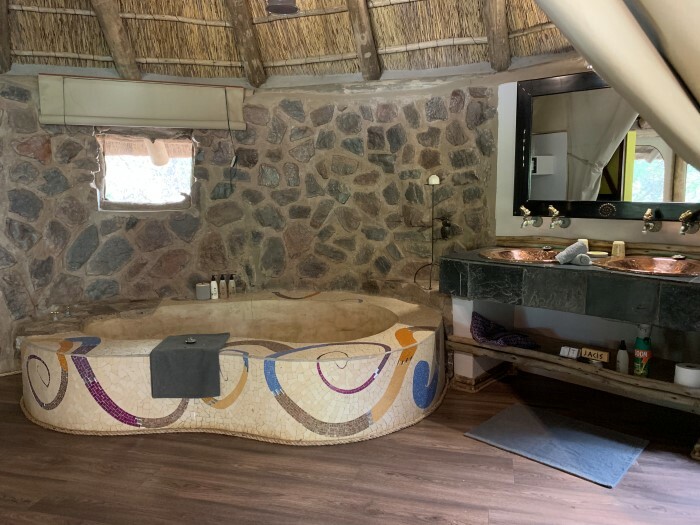 A giant indoor stone bubble bath, two outdoor showers and an indoor monsoon shower…oh and a roll top bath overlooking the bush – There’s no excuse not to be sparkly clean at Jacis! 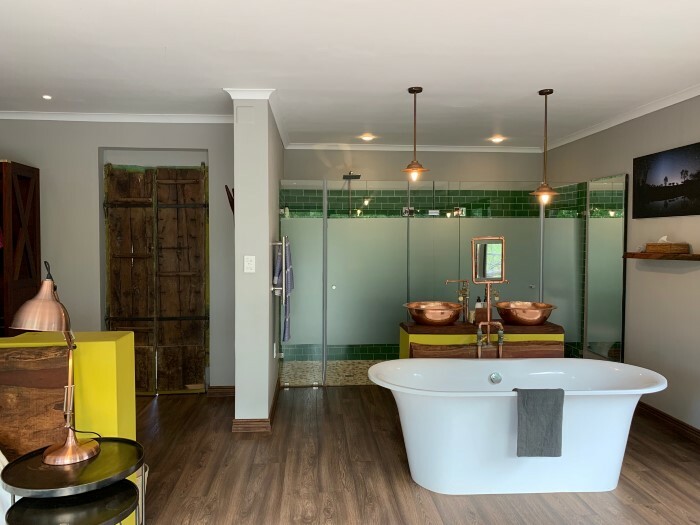 And all three of your bathrooms come with lovely shampoo and shower gel with a hairdryer in the room too. I may or may not had a bath and shower in each during our four day stay – how could I not! 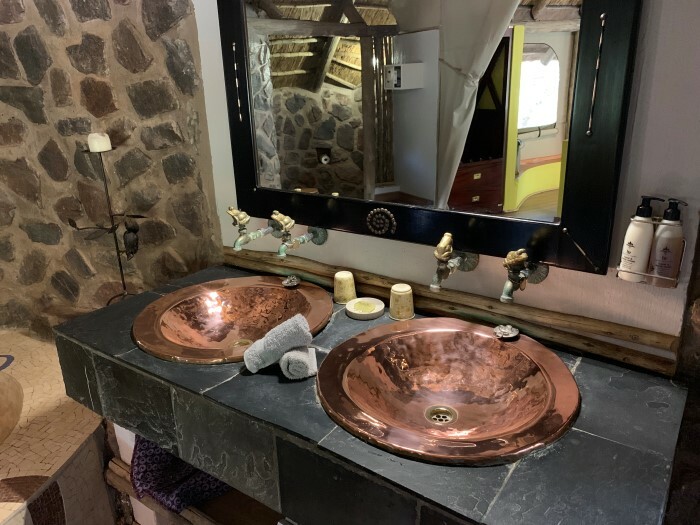 And on our second night I came back from dinner to a warm bubble bath that had been run for me by the team with candles and everything – DREAMY!!! 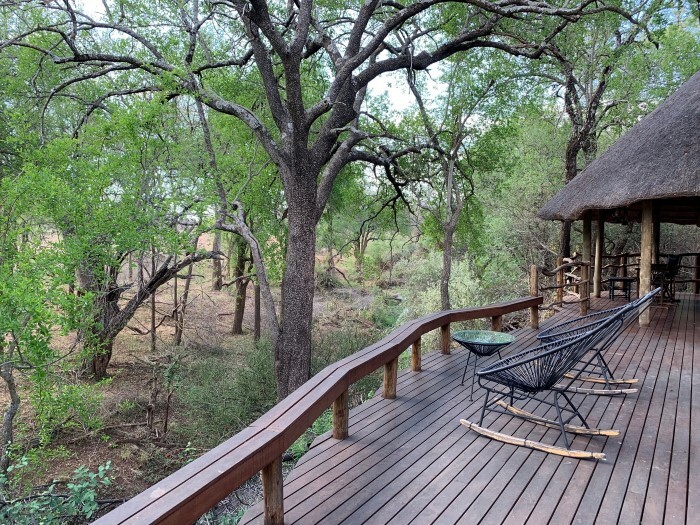 With views of the bush it’s possible to see dear, impala and even elephants from your lodge window. 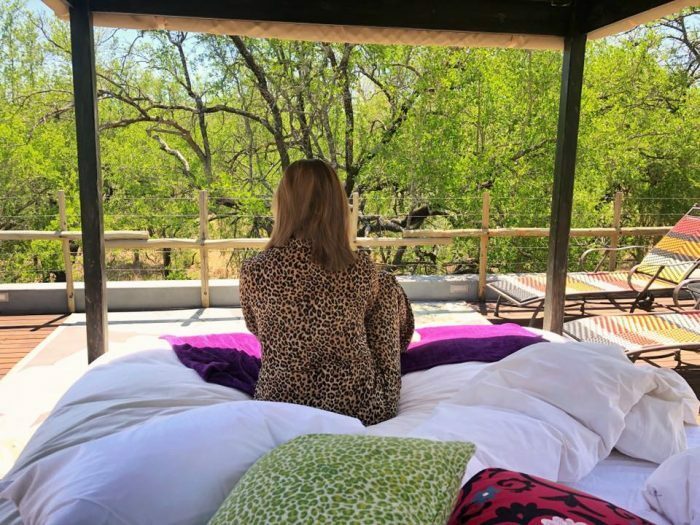 And despite being a stones throw from the other Lodges and surrounded by glass, you don’t hear or see anyone, it’s like your own little game reserve. 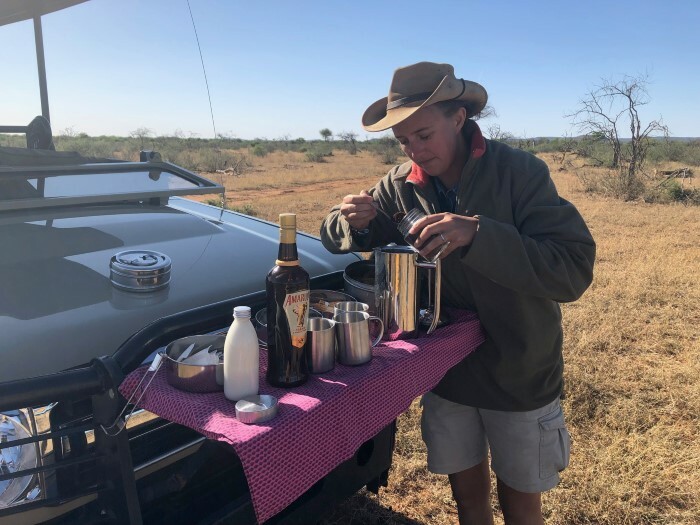 In my down time I would often make a cup of Kenyan coffee from the tea and coffee trunk in the room (or have a cheeky glass of Amarula from the room mini bar!) 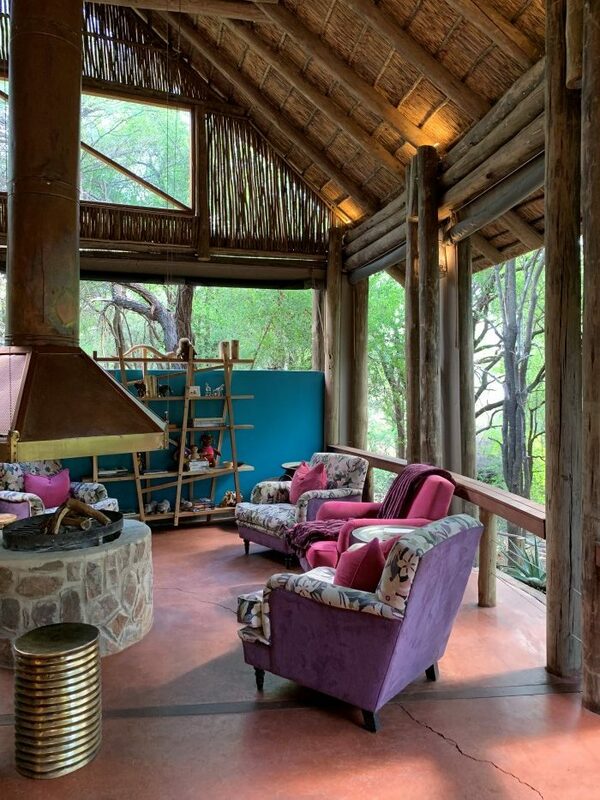 and sit on one of the wicker rocking chairs just watching the wildlife below me. It was so peaceful and quite simply a stunning place to spend time. In your downtime you can chill by not one but two pools at Jaci’s! The larger family pool and the small rock pool both with deckchairs and beautiful water for you to laze around and swim in. I spent a couple of afternoons by the rock pool with my book and a castle light! 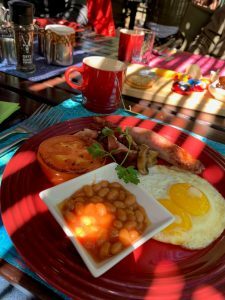 Food and drink – possibly just as important as a comfy mattress! Our chef Virginia was amazing, creating delicious plates from brunch to dinner with all the homemade snacks in between. At each sitting we got choices of two or three freshly cooked and beautifully presented dishes & three courses! 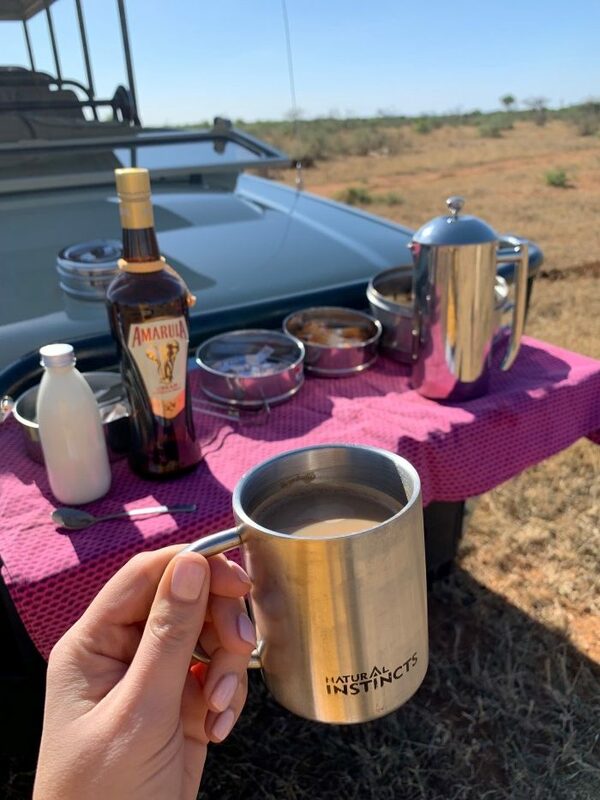 And at breakfast time and morning coffee in the bush there were also home made muffins, flapjacks, cookies and more to tide us over. Drinks wise there was a plentiful, well stocked bar with lovely South African wines, champagne, lots of gin and always an ice cold castle light waiting! A lot of drinks are included in your package as well as others you can buy extra – we were never left wanting that’s for sure! Last but not least the staff at Jacis couldn’t do enough for you. Our ranger Jenna ate brunch and dinner with us and everyone you bump into always stops to say hello. Jaci herself was even walking around to speak to guests and give us all a smiley greeting no matter the time of day. What a wonderful safari lodge family! 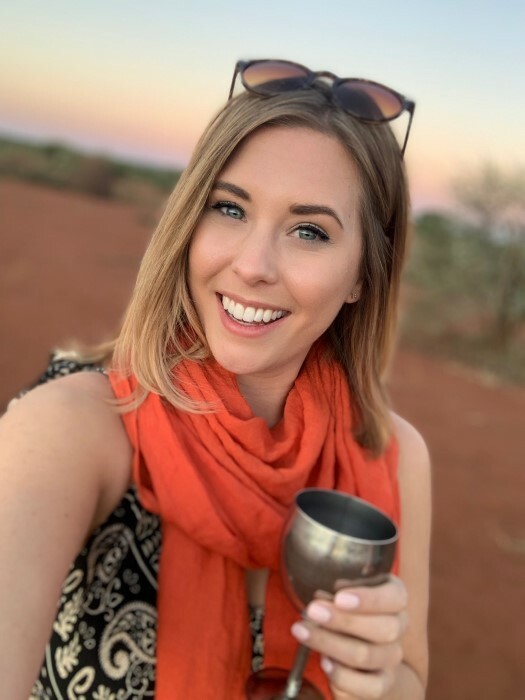 I can’t rave about my stay at Jaci’s enough – it really was one of the most incredible places I’ve spent the night in my whole travelling career! Everything about our stay was perfect and I’m just so grateful I got to experience it all. 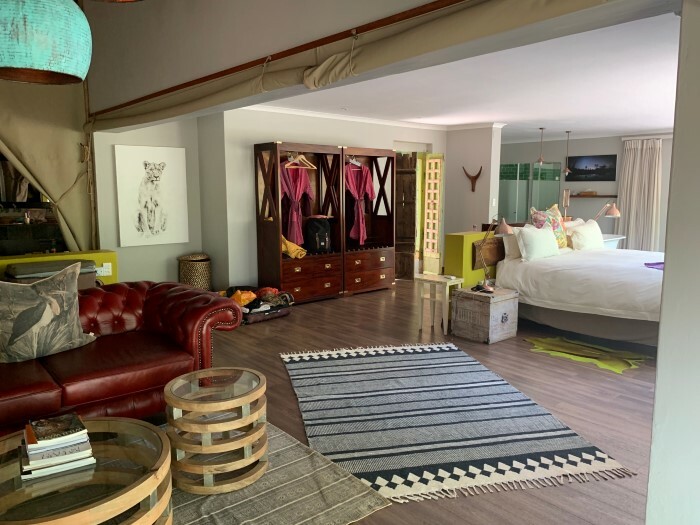 Take a look at Jaci’s Lodges and their other incredible rooms on their website here! 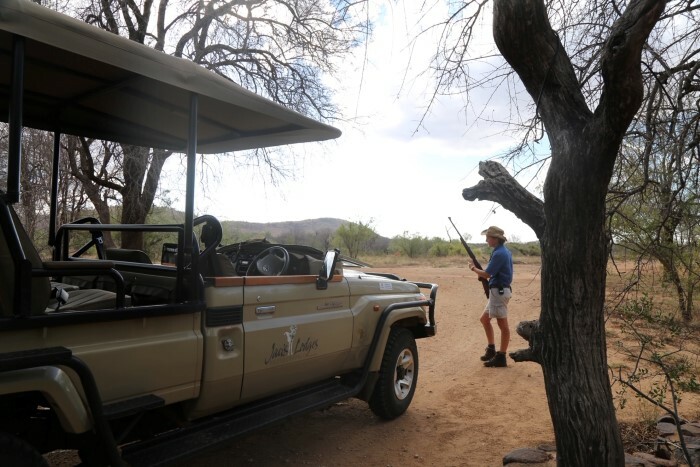 *Our stay at Jaci’s Lodge was complimentary as South Africa’s very own Good Things Guy was part of our group! 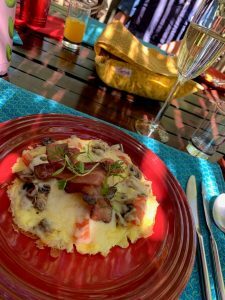 I was under no obligation to write about our stay from Jaci’s (I was the +1 for once!) but I couldn’t not – it was truly a remarkable place to stay and I highly recommend it to anyone. A big thank you to Fly SAA for my flights to and from Johannesburg and for making this dream holiday a reality!